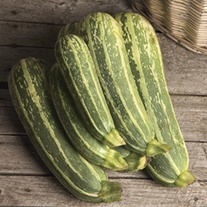 Marrow Seed delivered direct by D.T.Brown seeds. 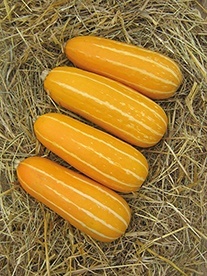 Marrows do best in an open, sunny position and in fertile, moistureretentive, but not waterlogged soil. A pH of 6.5- 7.0 is ideal for the plants. The addition of well-rotted organic matter into the soil prior to planting is beneficial to both soil fertility and moisture retention. 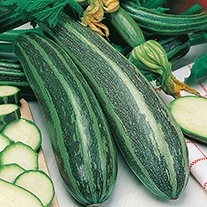 When sown direct, seed requires a minimum soil temperature of 13°C/55°F; alternatively, it can be sown in small pots four to six weeks prior to setting out in the plants’ cropping positions. 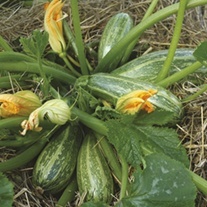 Outdoor sowings are best made at a depth of 2.5cm/1in, setting two seeds per station at a distance of 90-120cm/36-48in apart. Discard the weaker seedling after emergence. Keep the plants well-watered at all stages of growth; they will also benefit from mulching to minimise water evaporation in hot spells.